This Cinderella didn't plan on a prince...Kat MacTaggart is a girl who has a plan for everything-including her holiday ski trip to Monterra with her best friend. 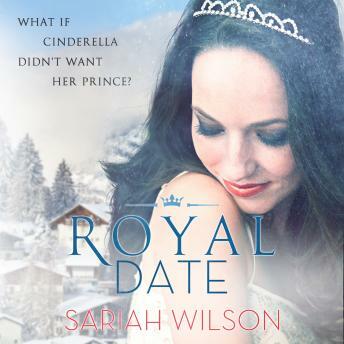 Everything is going according to plan until she finds herself careening out of control down a mountainside and being rescued by a guy who looks like Superman's hotter Italian cousin.HRH Prince Nico is intrigued by the woman he saved on the slopes and her refusal to date him. He offers Kat a deal-let him show her his country and he'll pay her to write articles that will help Monterra's tourism industry. Kat agrees, but given her past and lingering distrust of men, she has one condition-absolutely no kissing.Thanks to the claims of a jealous British noblewoman and the schemes of a meddling paparazzo, Kat's rule doesn't seem to be a problem at first. But the more Kat gets to know Nico and the people around him, the harder it is to remember her keep-your-distance plan. Should she stick to it or risk everything for a chance at happily ever after?